While it is not something most businesses think about, there do come times when you have to get rid of unnecessary furniture. If you move into a new office, if your company downsizes or even if total liquidation is necessary, you must do something with your excess office furniture. 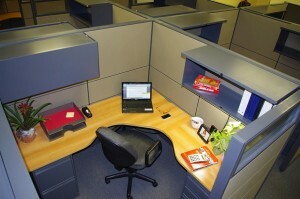 At Precision Office Furniture Installation, we can help you with all of your office furniture decommission needs. When you have office furniture that is new or gently used, we don’t want to see it end up in a landfill. Instead we will help you sell it, store it, or even donate it to a worthy charity for repurposing. If disposal is necessary we will use environmentally sound landfills and recycle as much product as possible. If you try to handle office furniture decommission on your own, you may find that it is very time consuming to try to locate buyers for either individual pieces or all of the excess product you have. Precision has the knowledge, background and connections necessary to simplify the process and return the highest value of your assets. We have a network of furniture installation companies and dealers across the nation which we actively market your excess product. You maintain the ownership of the products until a buyer is found and the items are sold. If you want the process of office furniture decommission to be simplified, contact Precision Office Furniture Installation today for more information.